Marjoram originated in Egypt and Arabia. The marjoram plant is an aromatic herb known for its aromatherapeutic and culinary uses. Its botanical name means “joy of the mountain” in Greek, and was actually first used to make wreaths for use as wedding flowers. Marjoram has a delicate and slightly sweet flavor and it goes well with a number of different types of foods. Marjoram is a member of the mint and oregano family and is known for its aroma and delicate flavor. Marjoram flavor is similar to oregano; however, it has more complicated flavor notes and is often described as sweeter and more delicate. Whether you are a veteran chef or you are just learning how to cook, you are sure to benefit greatly by adding herbs to your list of favorite cooking ingredients. Foods that are cooked with herbs simply taste better. Marjoram is a very useful herb, as it keeps its full flavor even when dried. Both fresh and dried marjoram leaves can be used to season foods with its mild, bittersweet taste. It goes well in salads, dressings, eggs, and mushroom sauces. Marjoram is suitable for thick vegetable soups, pasta, fish, beef, chicken, sausages and meat loaf. The flavor also works well with cheeses, tomatoes, beets or bean dishes. In most recipes, you will see marjoram called for in combination with other herbs and spices such as oregano, basil, and parsley. 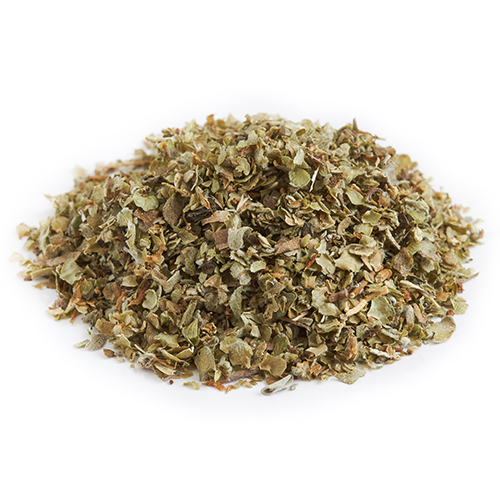 The flavor of marjoram is most pronounced when it is not cooked for a long period of time. Add it fresh to a dish or add it during the last 5 to 10 minutes of the cooking process. Marjoram prefers full exposure to the sun and is best planted in well-drained soil where it has room to spread, it’s generally best to start the seeds indoors during late winter or early spring and seedlings can be transplanted outdoors once all threat of frost has passed. Pick fresh marjoram leaves as needed, beginning 4 to 6 weeks after planting.